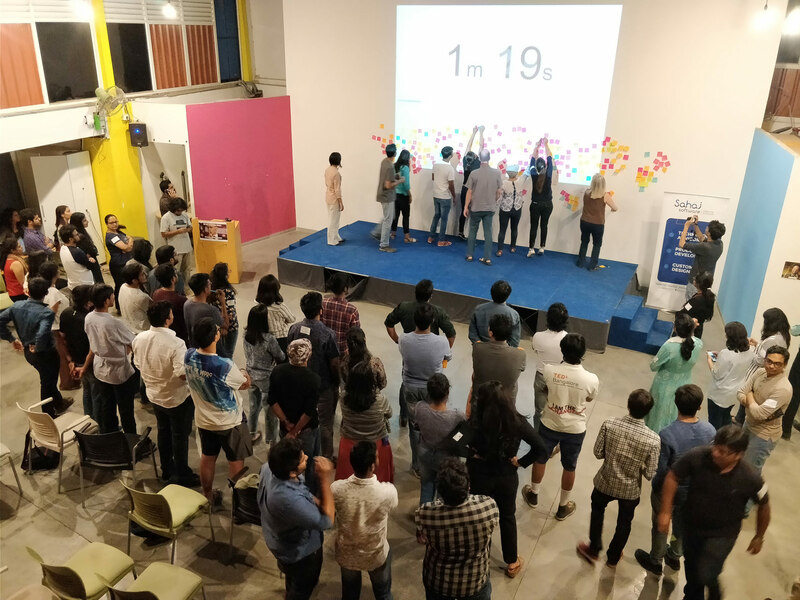 For the second year running we hosted the Bengaluru Service Jam, part of the Global Service Jam. Over the weekend of 9th-11th March, more than 50 “jammers” from diverse backgrounds came together to explore ways to build services using design and a playful mindset. The event kicked off on Friday at NUMA, Church Street. Jam mentor, Vikram Sridhar, co-founder of Tahatto Theatre, Bangalore, took the jammers through fun exercises that encouraged them to get to know each other and set the stage for a weekend of collaboration. Soon after, the secret theme for this year’s jam was revealed: “Yes, No, Maybe”. 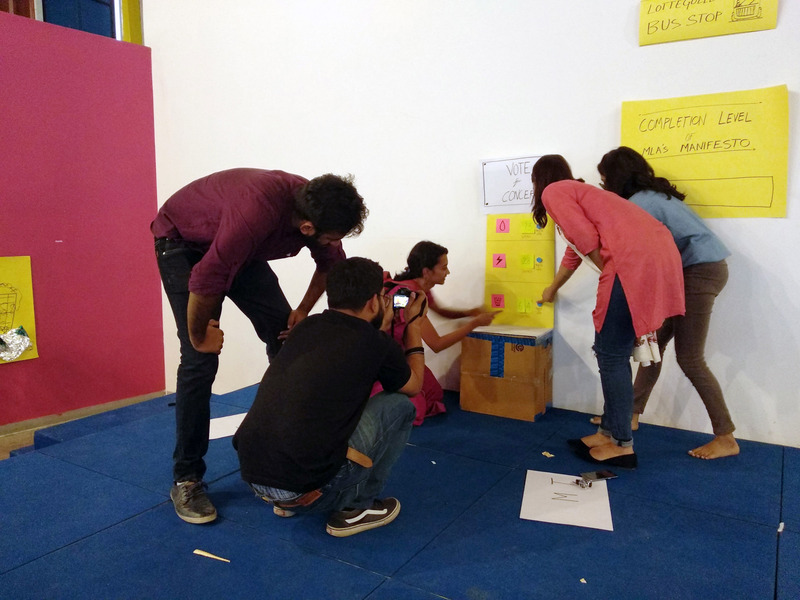 After a few minutes of silence and confusion, the jammers had covered the wall with post-its full of ideas. Working in groups, they quickly sorted them into common themes. By the end of dinner 9 teams had formed around exploring the themes of fake news, sustainability, sexual consent, transgenders and elections. Over breakfast the next day, mentor Sunil Baindur inspired the jammers to use the "secret sauce" of innovation- imagination and make their ideas tangible. One of the (many) exciting aspects of being part of the Global Service jam is the opportunity to connect with the larger community that is simultaneously jamming across the world. This year we “twinned” with Melbourne and Singapore to see how they’re doing. In keeping with the spirit of “doing not talking”, the teams had to go out on the streets with "experiments"- interactive stimuli that acted as conversation starters with passersby. The aim of this was to help them learn more about the theme they were researching. Once they returned, they jumped right into making sense of what they heard, observed and experienced. 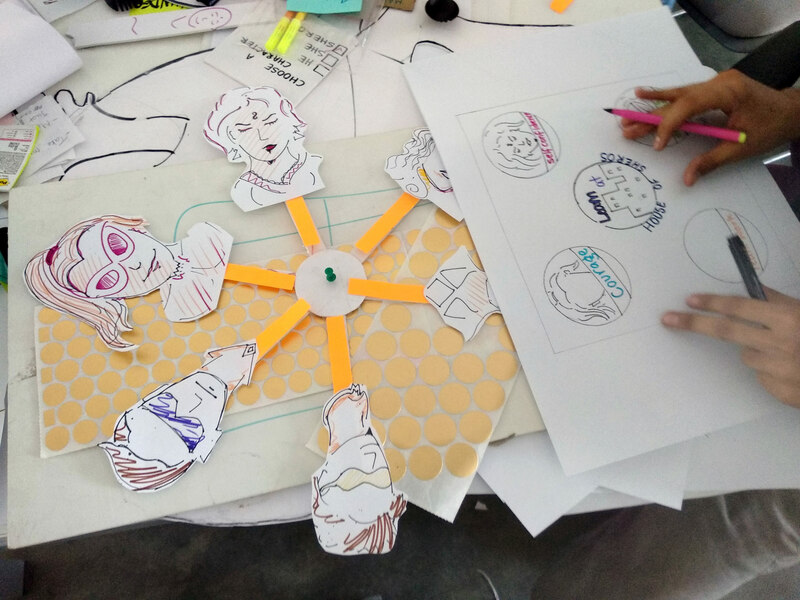 The jammers had to move quickly to turn ideas into interactive prototypes – questioning their assumptions and learning as they go. The final day was all about prototyping, testing and refining the service concepts. Vikram Rai, Head-Business development and partnerships from Chikitsak Lifesciences, shared their work in prototyping a low cost healthcare service. Through the rest of the morning and afternoon, the teams hustled to get their hands dirty and the prototypes finished! They were challenged to make their final presentations “interactive” using tools like role play, scripting films, or calling volunteers to experience the touchpoint interactions. 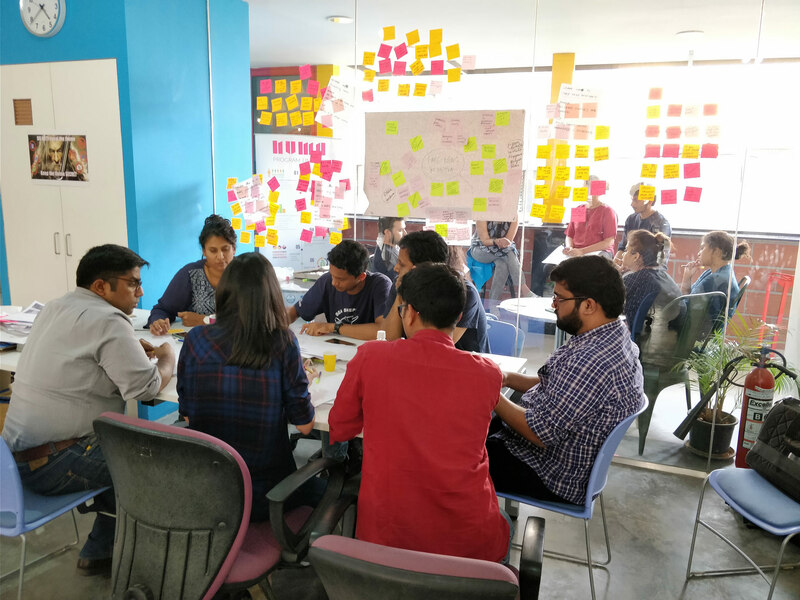 We were able to bring a bigger and better jam experience this year, thanks to the support from NUMA, Sahaj Software, and the Bengaluru chapter of the Association of Designers in India. The Bengaluru Service Jam was featured in the Indian Express.